The Shaylee is designed for easy-wear and gypsy-inspired layering. 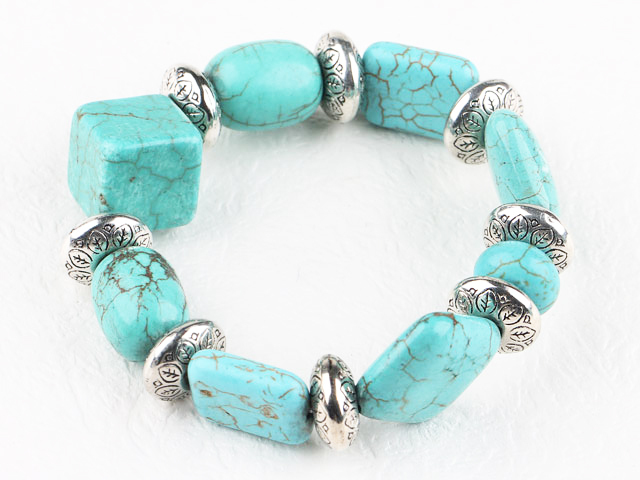 Featuring a simple mix of Tibetan silver beads and irregular turquoise-like stones on a comfortable stretch. Looks divine on your arm along with the Chloe Bohemia Turquoise Cuff. Buy this high quality but cheap fashion jewellery piece from our online shop today.